Why do I build awful jank decks in Yugioh? Ok one more post before I go to bed. I talked a lot in my last entry about supporting the anime decks I’m building and now I want to explain what I meant. For the longest time I’ve always said I only care about building anime decks. Anyone who’s played me knows I’ve changed decks at random for the longest time seemingly without a care. Regrettably, I’ve never adequately explained what I’ve been doing with Yugioh for the last couple of years. Here’s my attempt to explain things very quickly so I can move on. My goal has been to build a deck for every major character in the Yugioh Anime (which I’ve already admitted to loving). I’ve been working toward this goal since my initial playing of the game in Middle School. What I always wanted to create was essentially what the new Yugioh Tag Force Special Game is, a Yugioh Crossover dueling experience. To fulfill this goal I’ve been building the decks of every character I can to someday run, support or assist in some kind of LARP or role-play style event. Some of my closer friends may know what I’m getting at (but for now the specifics are not important). It’s for this reason that I’ve never been nor do I consider myself a very competitive player. I understand the meta and what are the best decks, but I never have built such a deck in favor of building decks that relate to those used in the show. The only decks I ever tried very hard with were Blackwings and Lightsworns and even then I never invested the playtesting to make either deck viable. This meant cutting, adapting and transforming every deck (since I know very well that every show’s matches are written, and thus for example running 1 Junk Synchron in your deck wouldn’t be an issue). This allowed me to be creative with building many fun casual decks. Anyway that more or less sums up my Yugioh life. At this point everyone is probably wondering 1 of 3 things at this point. A) What decks do you actually have? 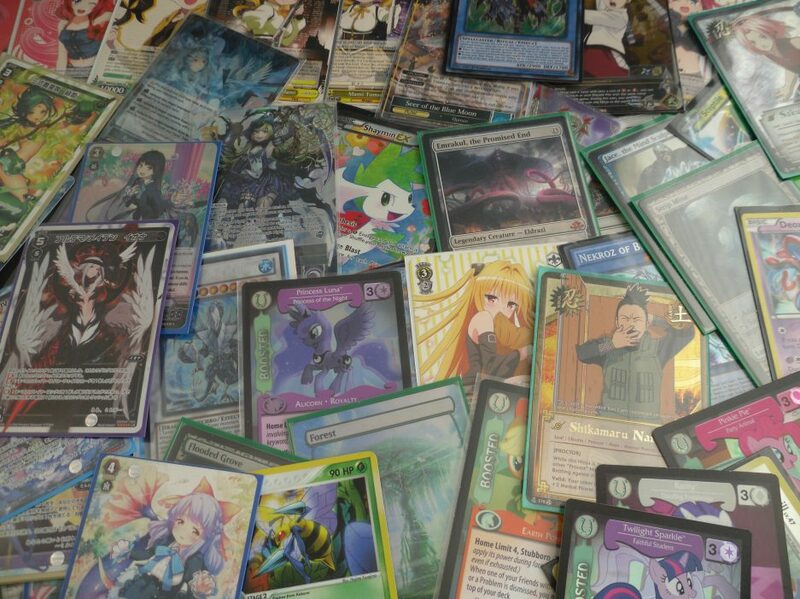 B) Why did you do all of this instead of just investing in a meta deck to actually win at events? C) Isn’t this blog supposed to be about more than just Yugioh? I’ll answer all of these questions in later posts. I hope this makes sense to someone other than me, but I’ve had a lot more fun building casual decks to play against my friends than I believe I would have focusing solely on building the best deck to win events. 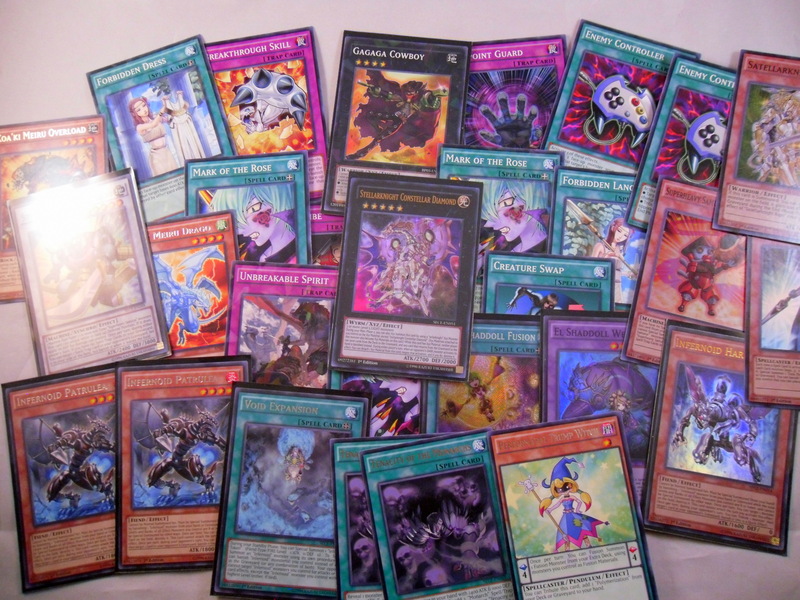 Now that being said I do want to build a competitive Yugioh deck now, which will be a series of posts by itself. The reason for this is that I’ve reached an impasse where I’m satisfied with the decks I have built (that and the repeated sting of defeat has made me want to play a new age deck instead of one from 2010). However, all of that is better suited to another time and another post. 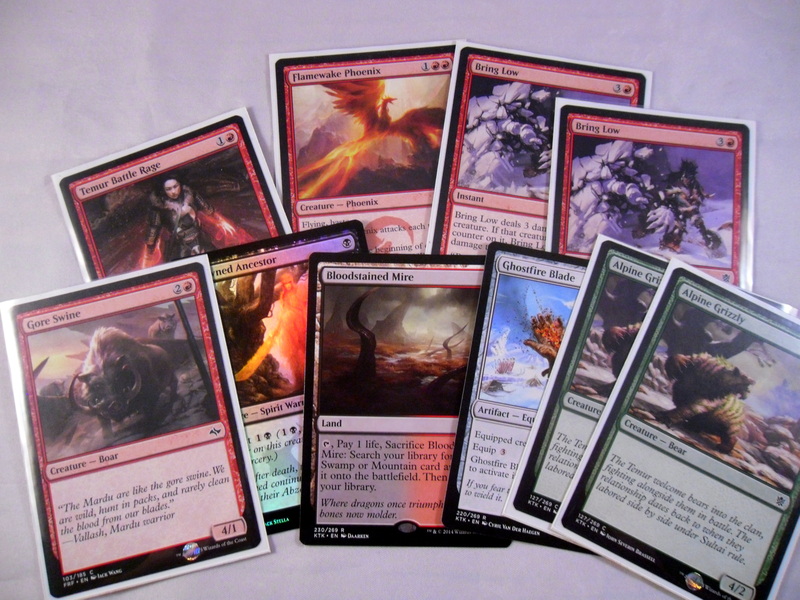 So there are 2 things I really want to have on this blog, and one of them is the results of my box openings. 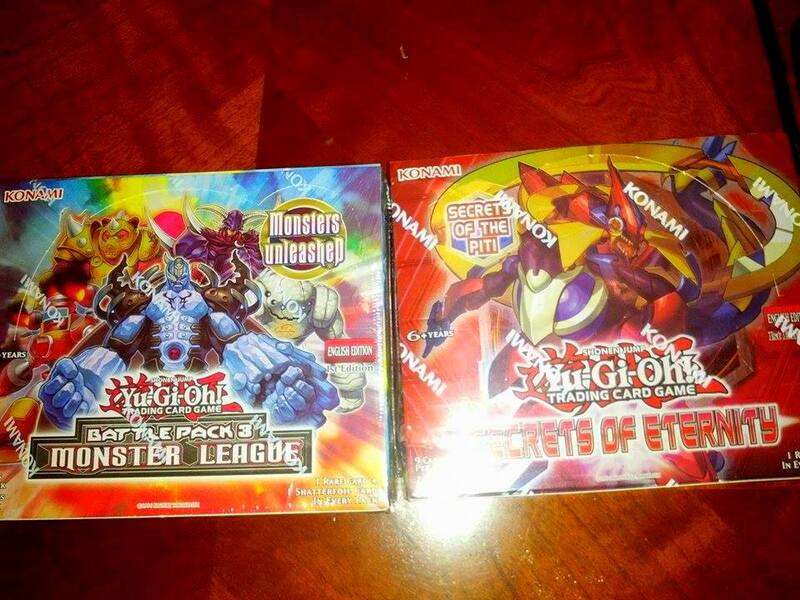 I try to purchase at least 1 of each new Yugioh and Magic the Gathering set as they release (and before this blog have posted the images of my pulls on Facebook). 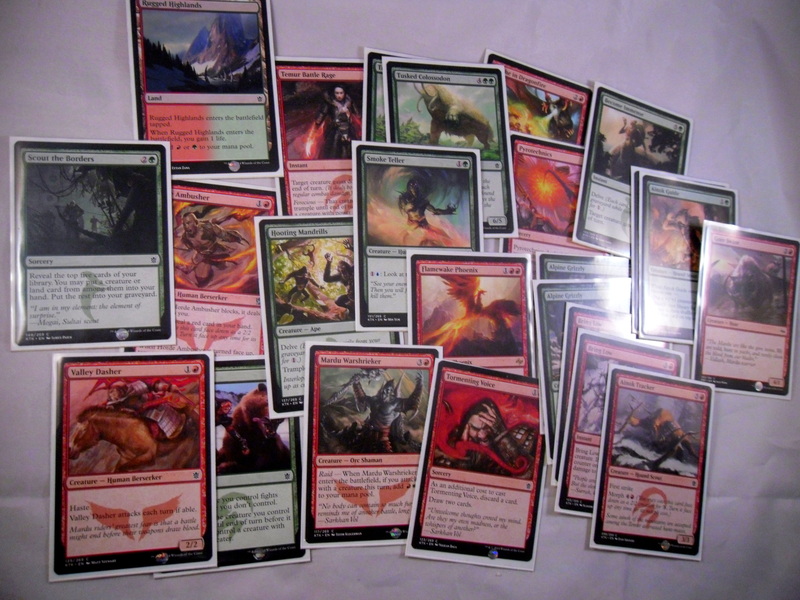 I then take all the cards relevant to my decks/friends and sell the rest on Ebay/TCGtrader. I got the SECH box on Amazon for $69 and the BP3 box also on Amazon for $23. I’m a huge fan of BP3 and always pick up a box whenever it drops below $25. Anyway on to the pulls! 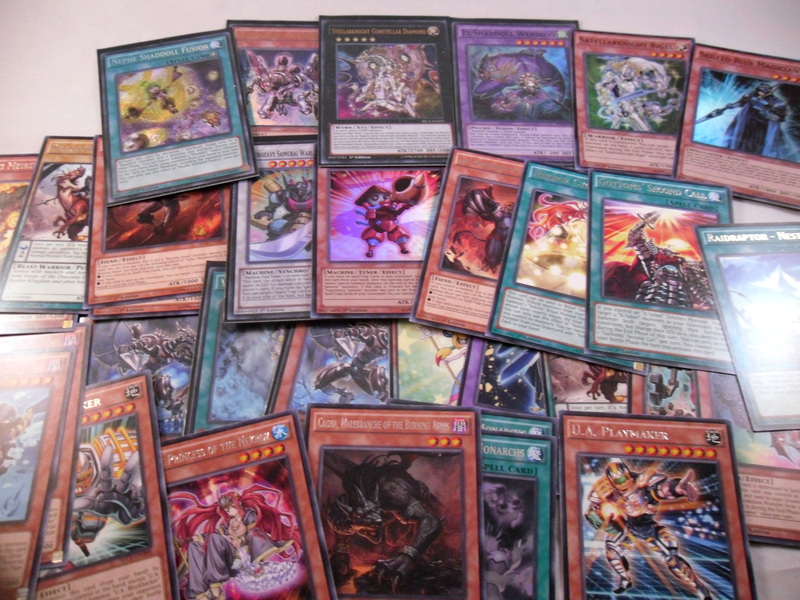 I hope to get started on a Raid Raptors deck for Shun Kurosaki with the few cards released in this set (granted it looks like it will be a bad blackwing rip-off deck until more support is released). 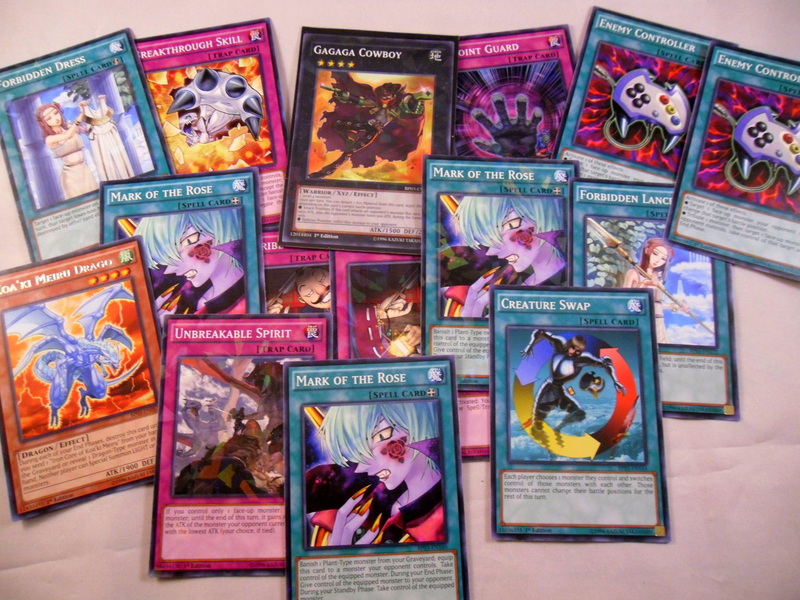 In addition I’ll start on an Infernoid deck that desperately hopes Nehemoth drops in price asap. Granted BP3 also allows me to replace my commons with Shatterfoils so random decks like Vehicroids (Syrus) or Meklords (Aporia) can have more shiny cards in them, which is always nice. Not to mention getting a few new staple cards to throw around always helps. Overall I’m very satisfied with my pulls. I’m not sure if I should purchase a 2nd SECH box to get more Infernoids or wait for their prices to drop (hopefully). I’ve already pre-ordered the Hero’s Strike Structure deck which may become my new Yugioh main deck (as Dark Law is the bomb), but all of that should wait for another post. Expect many of these cards to either go up on my eBay store, TCGTrader account or to some of closest friends. So this blog needs more color, so I thought I’d post some pictures of my cards. I felt like brightening up the page (and testing how to upload images). In my next post I’ll show pictures of my newest pulls from my recent Yugioh boxes. 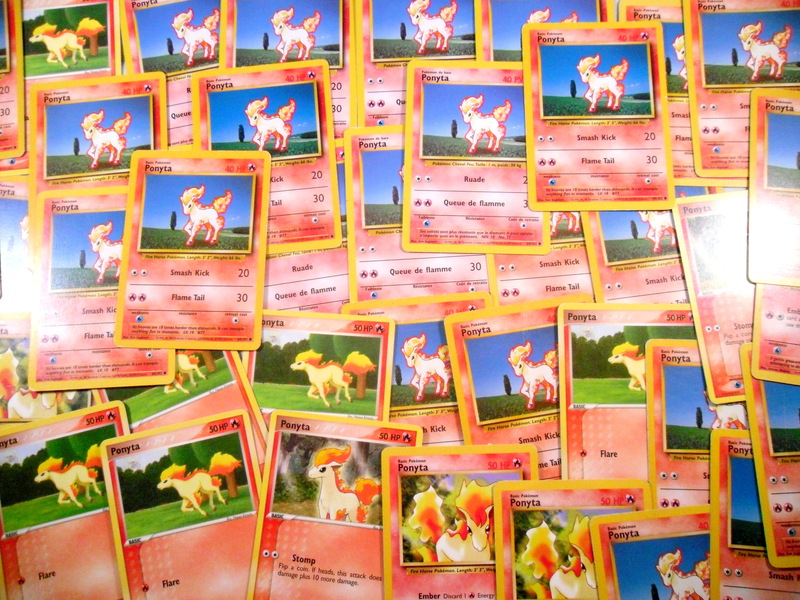 3) Rant about card games, the meta, etc. So for the next few days I’ll continue with more introduction style posts to further explain myself and after a while hopefully I’ll find some sort of schedule and roll with it. Thanks for surviving my madness so far. 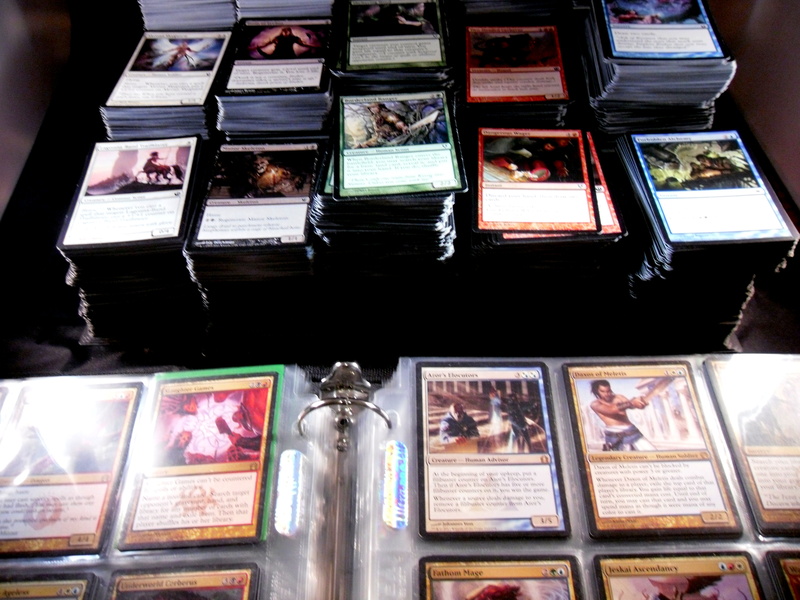 Why do I think Magic the Gathering is better designed than Yugioh? Oh boy posting in the middle of the morning while tired. Clearly this is the best time to gather my thoughts and provide meaningful arguments. Sarcasm aside my last post essentially said that I loved Yugioh more for the anime, and that I thought Magic was a better designed game. For my own sanity I’ll be brief about why I think that Magic is better designed than Yugioh (all of this is my opinion after having played both games for the past few years, please take it with a grain of salt). This isn’t the only reason I think Magic is better designed than Yugioh, but it’s definitely the one that comes to mind the easiest. Essentially this problem stems from how both Magic and Yugioh “balance” their respective games (at least their standard/advanced formats). Yugioh has a banned list that prevents the use of certain cards deemed either too powerful or generally unhealthy for the game in competitive settings. Magic in contrast only allows the use of cards from the most recent 4 sets (this may have changed recently, but I digress) in their standard format and prevents the use of all older cards (for the sake of this argument I’m ignoring Modern, Legacy and Vintage formats since I believe that Standard is still the most common/widely supported Magic format). So what does this have to do with game design? To put it bluntly it allows Magic to re-release cards with the same effects as earlier ones modified for the current set theme. This means that while the game’s story and flavor is ever changing the types of cards released remain balanced. An example of this are the cards Llanowar Elves and Elvish Mystic, both released in different years, but with the same effect. In contrast Yugioh allows all of its un-banned old cards to be played. The problem with this is that in order to to push their new cards Konami is forced to release more powerful cards over time to replace their older ones in terms of utility and effectiveness. While a poor example, just look at Joey Wheeler’s card Gilford the Lightning in contrast to the later card Beast King Barbaros. Gilford’s effect is if you tribute 3 monsters for its summon you can destroy all of your opponent’s monsters (this was the counter part of another old card called Moisture Creature which destroyed Spell/Traps cards for the same cost). While both cards were quite difficult to play they both offered a powerful effect for their price. Now faster forward a few years later and we find Beast King Barbaros. In his case though, if you tribute 3 monsters to summon Barbaros he destroys all cards your opponent controls (monsters, spells and traps). As if that wasn’t enough, you can also normal summon Barbaros as a 1900 Attack monster opening up combos with the card Skill Drain. Essentially, Barbaros is both Gilford and Moisture Creature combined with an additional effect to only further his play-ability. Now imagine that magnified a couple thousand times (hyperbole for the win) as Barbaros isn’t even a meta card anymore. And that is the problem with Yugioh. Not matter how strong your cards just wait a year or two and soon they’ll be power creeped. The simple fact that Magic can prevent this power creep from poisoning their standard format is more than enough for me to say it’s a better designed game. However, that’s a post for another time. 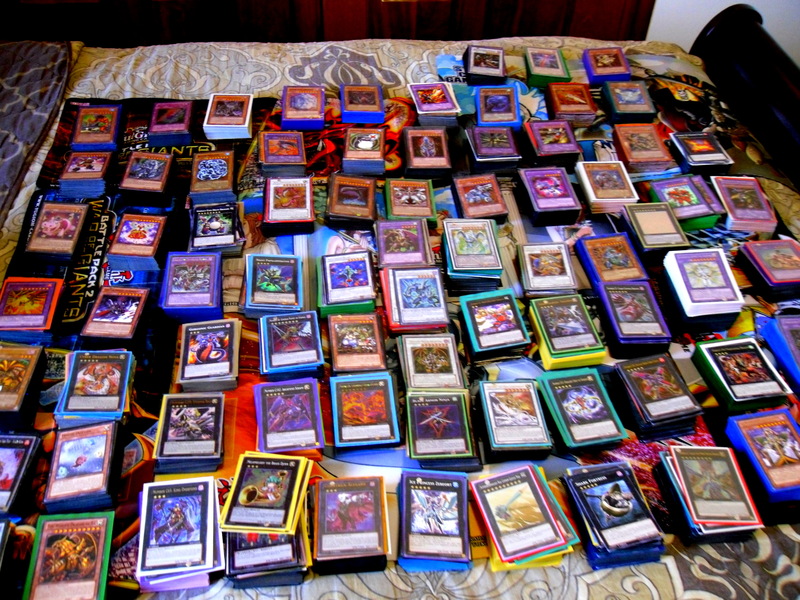 Why is my favorite card game Yugioh when Magic the Gathering is objectively better? I’ve watched the Yugioh anime and its various spin-offs religiously for the past couple years and frankly I’ve loved them despite their many ups and downs. I’ve made it my goal to build the decks of every yugioh character in the various shows (within reason). As ridiculous as that sounds that desire has spurred my yugioh decisions for the past 4 years. I’ve played Yugioh longer than any other game. I played from Elementary school to Middle School where i quit it for Naruto. I then more or less abandoned Yugioh until Senior year of High School where I picked it back up while first learning Magic the Gathering. During my most recent years at college I started following the Yugioh meta-game as closely as I could. Granted, Philadelphia is more or less devoid of stores that run Yugioh events so I watched online and began subscribing to yugioh channels to keep up with the game. It wasn’t until last year that a new Yugioh Community started to grow at my college (spearheaded by one impressive freshman) that gave me people to play against and collaborate with. In a nutshell I’ve both played and followed Yugioh for the longest time. Now while that’s all well and good, my love for Yugioh is very much tied to my love for the anime. The desire to build all (or as many as possible) of the anime decks has always been the driving force behind my collecting. I never mentioned directly anything about its game-play, cards, art etc. Now I do love the actual cards, their art, effects and what have you, but when compared to Magic the Gathering I will always both admit and argue that Magic the Gathering is a better designed game than Yugioh.